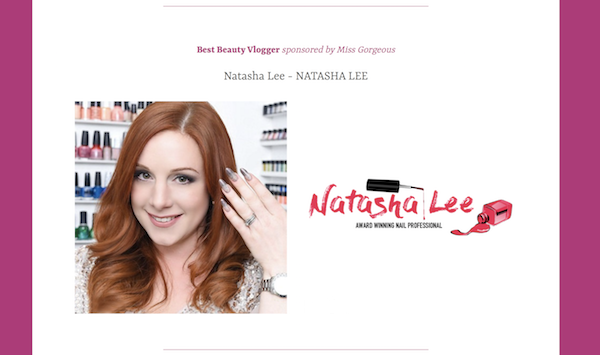 Home Beauty Best Beauty Vlogger is….Natasha Lee! 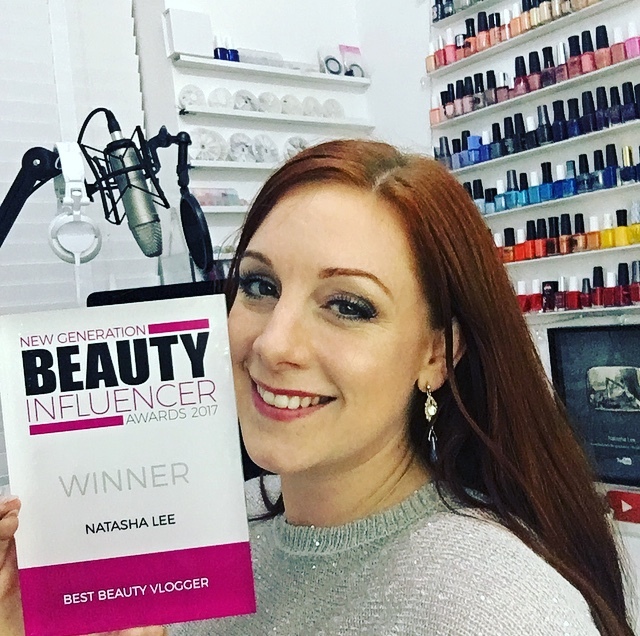 Best Beauty Vlogger is….Natasha Lee! I Won! What a whirlwind weekend!! Yesterday I was in London at Olympia Beauty for the New Generation Beauty Influencer Awards as I was a finalist for the Best Beauty Vlogger category. 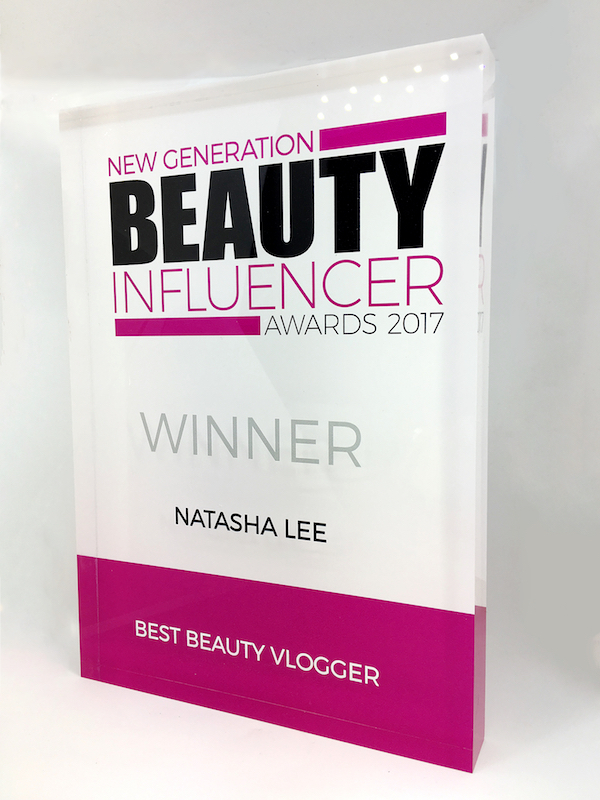 I was really excited as normally these sort of awards are always aimed at Best Beauty Blogger and seem to forget about us YouTubers. 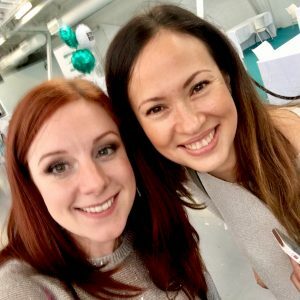 However, I was feeling pretty nervous for a very good reason…..
You see, us nail techs, we are still considered bottom of the pile in the beauty world. At fashion week, nail techs have to kneel on the floor or scurry under desks to do the models nails for fear of getting in the way of the hair and make up artists. People will pay for top quality makeup and hair, but go for budget or DIY nails. The saddening thing is though, it costs so much to get a good nail training behind you, then you start adding the cost of the extensive product choices that you need for clients and before you know it, you’ve kissed goodbye to thousands and thousands of pounds. This is where I’m going to get a bit serious though…..
As a nail tech, you aren’t just removing cuticles and filing nails, you are an artist, an architect, a confidente, a councillor, a life coach, a dating guru, an ear to listen and a shoulder to cry on. We are the most privileged, and perhaps least appreciated artists in the beauty world. We get to sit, and hold your hands whilst we share your joys and your fears, assure you, advise you, and encourage you. I’ve calmed brides with last minute jitters, guessed pregnancies only weeks in, discussed ways out for bullied workers, aided calm responses to family disputes unfolding at my nail desk, and hardest of all, were 2 occasions so separate but yet so intrinsically linked. The first was the day a favourite client told me her mum had suddenly passed away, and we held each other tight and cried, before we sat with a cuppa, and talked about everything that had happened whilst still producing the most exquisite nails. It was emotionally exhausting and an amazing blessing all at the same time – to be able to offer comfort at a time like that is invaluable, and makes me feel very fortunate for my time as a tech. The second will stay with me forever, and it was when one of my ladies passed from cancer. I remember the day she confided in me that she had found something unusual, and I persuaded her to go to the doctor. I remember the day she told me her diagnosis and how serious it was. I remember after her first surgery and I went to her home to do her nails as a pick-me-up and to just see her. I remember another visit and her telling me that there was nothing more that they could do but thanking me for always making her feel better, even just for that brief moment when she looked at her nails and smiled at how much she loved them and – for a split second – she forgot about everything else happening. I remember finding out from her daughter that her fight was over, and she was no longer in any pain. You see, we don’t just “Do Nails”. We have a very brief and intimate amount of time with you, to be able to find out all about you, and understand what it really is that you want, even when you don’t. We do all that whilst focussing on you and your soon-to-be beautiful nails. The reason I’m telling you all this, is just for you to understand what this award means, not just to me, but to every Nail Tech and future Nail Tech out there. Things in the beauty world are evolving, and nails are becoming just as key as makeup, hair and fashion, and ultimately, with the training and knowledge we need to have as techs, they deserve to be. There have been different people in the industry that have helped this change, but in my genre, one who has helped really bring nails into the public eye has been Cristine Rotenberg, more commonly known as Simply Nailogical, a Canadian fellow nail YouTuber. Although she’s quick to say that she’s not a qualified nail tech, she’s just as quick to promote sensible nail care which always gets a thumbs up from me when I have my Educator cap on!